﻿Thank you all for attending my class and your kind words on my Facebook page. I am looking forward to our outing and the opportunity to make the information we spoke about in class relevant. I am confident there will be even a few more revelations as we put to practice our classroom discussions. Below is the PowerPoint presentation we used in Session 1 classroom. Feel free to download it and review it. If you do not have PowerPoint I have provided a link so you can download a free PowerPoint Viewer. 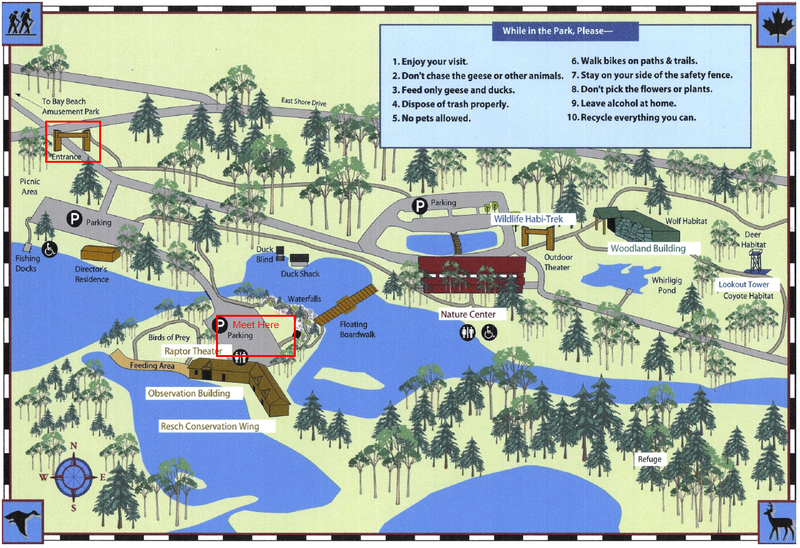 I have also included a map of Bay Beach Wildlife Sanctuary with the location we will meeting being highlighted. Bay Beach Wildlife Sanctuary Outing - 4/23/16 @ 1pm. Thanks again for being part of my passion.